If you are crazy about Economy and Business creation, Virtonomics is definitely your game. 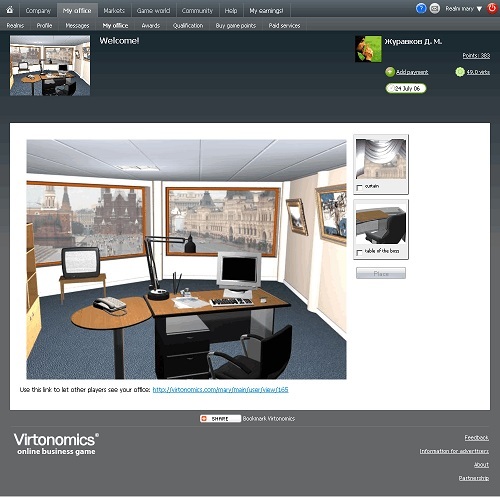 Since 2006 Virtonomics has been providing players from all over the world with a virtual “free2play” environment to experiment in their computers how their dream-about business would work. But don’t get too confident, this is not a piece-of-cake game nor a game targeted to newbies, this is an economic simulation sandbox, as real as it gets, and MMO where you will have to compete with 1.000.000 players from all over the world, for the highest place on the business ladder. Taxes, providers, transport, shops, management, human resources, training, research… think about something related with expanding a business and you will find it here. Will you be apt for the challenge? In your way to the top of the entrepreneurial podium, you are not alone; a tutorial explaining the basics, a detailed guide plus wikis and active forums, will help you navigate through this intricate world of businesses and options. So, here comes the big question: What would you like to be when you grow up? That’s not a problem with Virtonomics! 25 industries, 203 products to produce, 33 countries, 300 cities… Retail, High Tech, Manufacturing, Agriculture, Medicine… in Argentina, Russia, China, Norway… It’s your choice! Dare to dream big! There are other interesting variables once you get further in the game, including politics! You can start playing as an entrepreneur but get yourself into politics and end up being the Major of your favourite city. Virtonomics is a turn-based game. Every 24 hours, the system calculates the consequences of your decisions. One day in the real world, equals a week inside Virtonomics’ world. So instead of waiting for months to see if your strategic decisions will ruin you, you will have an accelerated simulation to help you avoid the worst mistakes. The game’s business model is based on in-game purchases for single players, and packages for institutions, business schools and real companies that have found in Virtonomics, a new tool for recruiting, training, decision testing and research, through the B2B platform Simformer. Curious about who you will be playing with? We interviewed Simona Rubanaite, our marketing contact at Virtonomics, to know more about players and their profiles. “Statistically, we see the biggest amount of players from Russia, United States, Spain, Ukraine, Belarus and Canada” explains Simona. “English, Spanish and Russian speaking communities are definitely the most active in the game”. “Regarding professional background, all players are related somehow to business careers. We have business students from universities joining to gain some practical experience, as well as entrepreneurs simulating their possible business idea. Some academics are playing this game and testing this business simulation platform with the vision to apply it in the lectures at universities. Business experts are playing this game out of curiosity and to measure their skills. And we have the typical gamers who are joining the game to play, communicate, make connections, and of course have fun!”. Virtonomics has two main weaknesses: interface and difficulty. 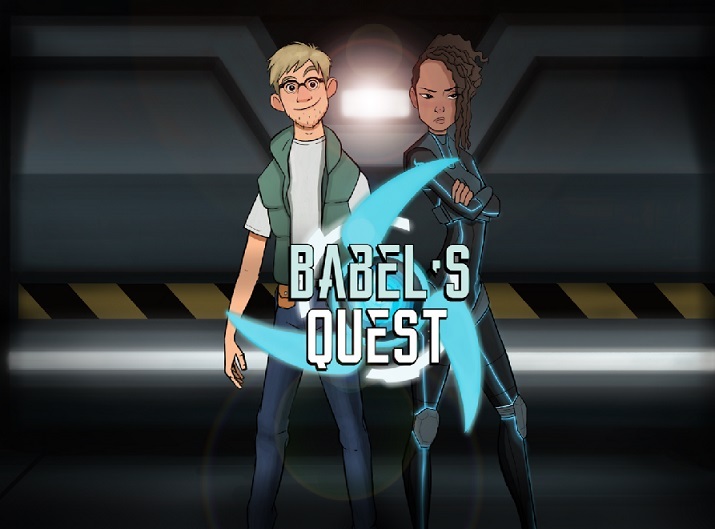 The game design is more like a real economic report than an engaging adventure. Grey buttons, plain texts, little and scarce icons. You will be probably lost among menus, configurable options, lists, data… Core players confess that it took them at least two weeks to master them. Besides, the difficulty is not adjustable: you will face the same problems and challenges present in a real economy. You will need to be wise and prudent with your decisions, taking into account all (almost infinite) economic variables. This means that if you are a total newbie in Economy and Business, you will probably panic a little bit. But, if you really are into economics and business, this will be the perfect environment for you! You already think Virtonomics sounds cool? Wait to see what they are working on! “Apart from updates in finances, banking and the introduction of a new industry of mass media” details Simona, “we are planning to use the data from Open Data project, an EU project, where governmental institutions publish their real macro-economic data. This data will make certain game realms resemble real life as much as possible. The purpose is to use Virtonomics not only for skill development and education, but also to look for solutions to real current economic issues and challenges. Could a Simulation Serious Game like this, really help population understand the economic consequences of their governments’ decisions? This sounds like a new way to use public Big Data in an educative and practical way! Wouldn’t it be lovely? You can play Virtonomics DEMO on your computer by clicking here. Previous: Does playing GTA make you racist? Next: IoT and Serious Games: What is the connection?